Professor, Texas Christian University at Fort-Worth. 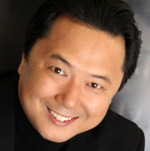 Tenor San-ky’s active operatic career led him to Europe, performing in Helsinki, Biel, Bern, Amsterdam, Brussels, Gent, and Prague before settling in Germany. He has performed over 60 major operatic roles in countries throughout the world, as well as singing in solo, chamber, and oratorio settings. Riccardo Muti, Wolfgang Sawallisch, Eduardo Mueller, Steven Mercurio, Thomas Fulton, Patrick Summers, and Miguel Harth-Bedoya are few of the conductors San-ky has collaborated with. San-ky Kim received his BA from the Australian National University and his Bachelor of Music from the Canberra Institute of the Arts. He completed his Master of Music degree at the Curtis Institute of Music in Philadelphia and received his Professional Studies Diploma and Doctor of Musical Arts degree from Temple University. The Australian-New Zealand Foundation Award is one of many competitions San-ky has won. Even before he ended his formal studies, San-ky made his professional debut with the Philadelphia Opera Company in the role of the Emperor Altoum in Puccini’s Turandot. Highlights from San-ky’s recent performances include solo appearances with the Fort Worth Symphony, Plano Symphony Orchestra, and the SMU Symphony Orchestra in the DFW premiere of Lutoslawski’s Parole Tissée. In October 2007, San-ky created the role of Gottlieb in Evan Hause’s new opera Man: Biology of a Fall in New York city.